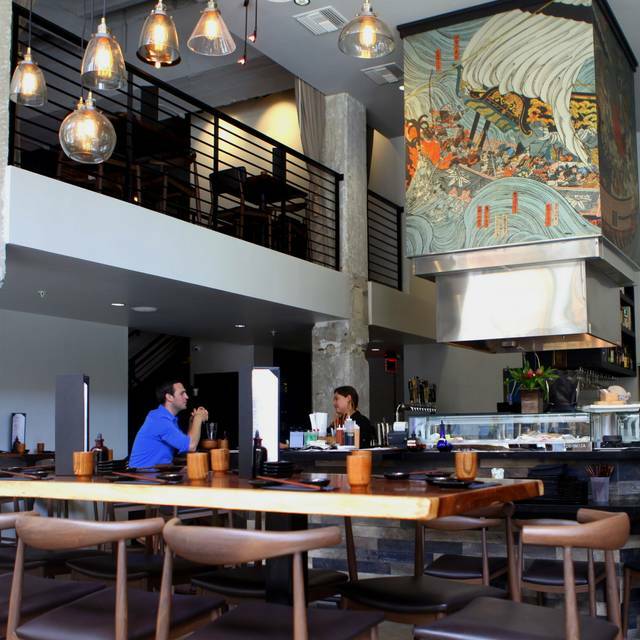 You must make reservations at least 5 minutes in advance of the time at Kai Japanese Roots. Next to Perishing Square Station off the Metro Red LineParking Available on Street, or parking lots on Spring St between 5th & 6th.Use the FreeBird App (Adroid or iOS) for a $5 ride credit each way when dining at Kai! Kai Japanese Roots, located in beautiful Downtown, Los Angeles, has an elegant menu of Japanese specialties including Sashimi, Sushi, Robata, as well as an extensive list of Japanese Whisky and specialty cocktails. The restaurant was designed to offer guests an enjoyable ambience, offering high ceilings with beautiful exposed wood and metal beams. 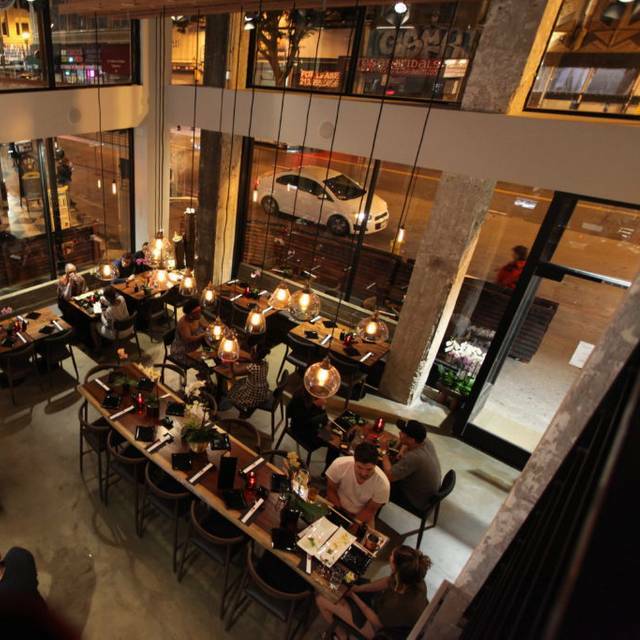 The space offers room for intimate dinners or large group gatherings. The large floor to ceiling windows is a sight to be seen as it displays the beauty, that is the downtown city streets in the up and coming neighborhood. Made reservations to celebrate a birthday on a Saturday night. Great ambience and staff. Everyone was very friendly and helpful without feeling too overbearing while we were eating. Staff food recommendations were also top notch as well. Food came rather quickly and was plated pleasantly. Everything looked as good as it tasted. One small knock, would be that they forgot our order of Seasoned Cajun Cauliflower Tempura, but we were a large table (11 guests total) so that's excusable. They brought them right out within about 5 mins of being notified. I'd definitely recommend the Beef Curry, their Tokyo Mules, Aomori Fries, and the Broadway Street Roll. Will definitely be back! Reservation was taken but when we got there the server said they were closed. There were 3 of us, making a total of 7 people in the restaurant. We each ordered a beverage, appy & entree. One appy arrived, followed a few minutes later by 2 entrees, then 1 beverage. We asked about the other appetizers and were told the kitchen was 'slow'. After we had finished the two entrees that had been served, we received the final 2 appys. A full 15 minutes elapsed before we got the final entree. Bizarre and the food wasn't good enough to excuse it. Can't recommend. Restaurant = freezing cold. A restaurant that cold makes you want soup. Miso soup, to be precise. We ordered four miso soups, each came at a different time of the meal, and one basically came as a dessert course. The food was regrettable. A curry with almost no meat. An order of 'chicken teriyaki' that was literally sad pieces of chicken with a side of teriyaki sauce. The service was inconsistent, and non apologetic. Service was good, but food was not authentic. Highly NOT recommend going for DineLA. Waste money. We ended up going somewhere for 2nd round of dinner. The sushi was ok. Not good, not bad, just ok. The waitress seemed pretty impressive at first bc she was able to remember our large first round order. However, the service only got worse. Appetizers came out after our main order. No one came to refill drinks even after requesting. And when she did take our glasses to refill our drinks, she came back and handed back our cups at random. I’m positive she had no idea whose cup she gave to whom bc ppl at our table who didn’t order Diet Coke were given Diet Coke and vice versa. Then I noticed that the straw in my cup had lipstick on it despite the fact that I wasn’t wearing any. When we commented on this she said that she had changed the cups out. I pointed out that my straw had lipstick that didn’t belong to me and she said that she changed the cups, but kept the straws. How any of this is supposed to make sense, I have no idea. Definitely will not be returning here. 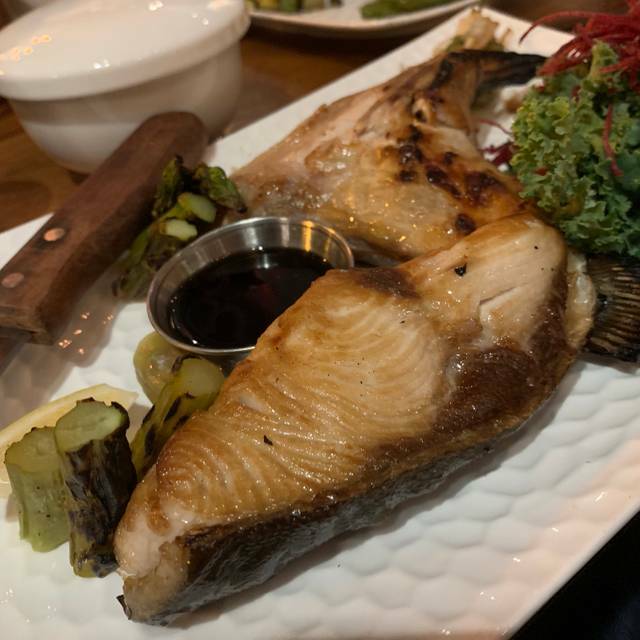 I had the Hamachi Kama BBQ over coal. It was gigantic. However, because it was so big, the chef did not leave it on the BBQ long enough to cook the deepest parts. The outerlayer was moist and tender, inner layer had a raw segment. Don't get me wrong, I like sushi, but Hamachi Kama supposed to be cooked. I also had filet mignon and Wagyu. Both taste good, somehow, the filet tasted better than the Wagyu, go figure. The bill came out to be about $50/person for big dinner. Easily can budget $30/person for decent dinner here. We were just really hungry. Overall, a nice dining experience. Food extremely good.wait staff needs to communicate with one another. I really don’t understand why this place is on open table and why it has such good reviews. The place is in a bad area and it certainly does not look like the pictures. The food was nasty. The sushi was fishy which is the first sign when it is not fresh. My husband ordered the albacore tuna with fried onions and the onions were STALE! so bad. We were out on a date night and the vibe got totally killed. I had the spicy yellowtail that was very fishy I could not eat it. The only thing that was edible was the crunchy rice and the shrimp tempura. I think it is because they were both fried. Our waitress was a sweetheart I felt for the poor girl because the place is definitely understaffed and she was overwhelmed. DO NOT GO THERE. Period. Variety Sashimi are very fresh. 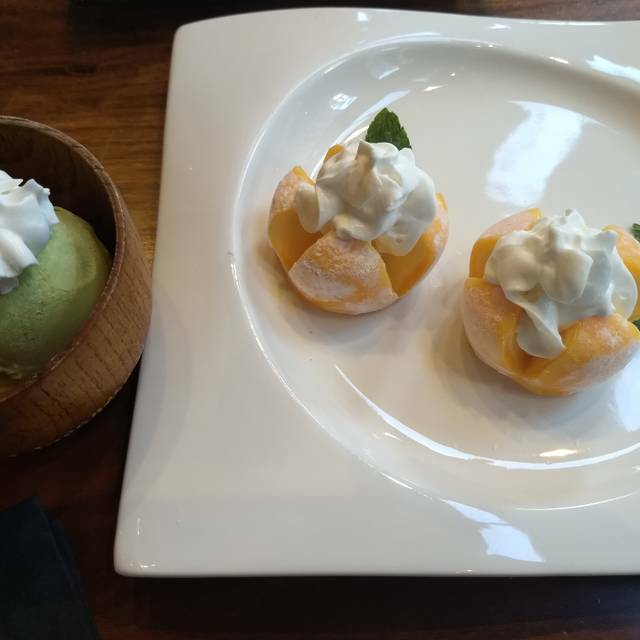 The Mochi Desert presentation and taste are great. We had the DineLA menu to try out this restaurant. 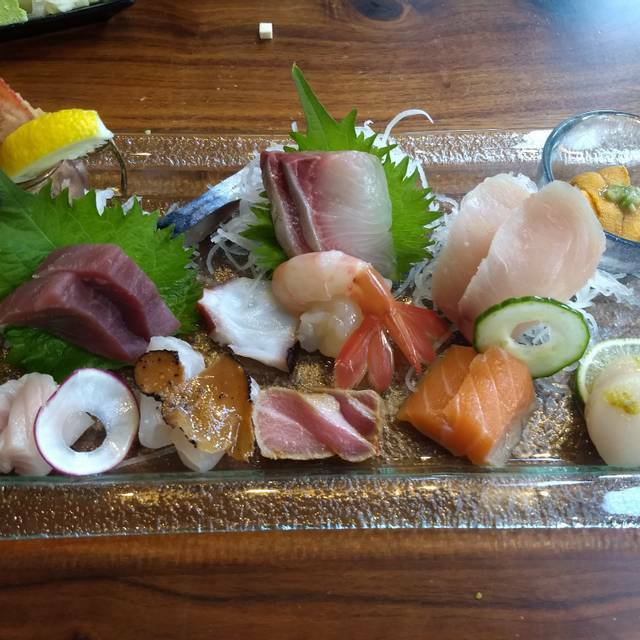 It was very good, some of the sashimi was not as appealing but most tasted delicious. The surf and turf was very good. Our server was very nice and tried to accommodate us to our liking. Sushi chef didn't seem very happy and agitated when we had a few requests of what was going to be served. Thank goodness the young man who was our server was nice and friendly. I am sure he got an earful from the sushi chef in Japanese when he asked our questions. Restaurant is nice but the parking and street area isn't very appealing to walk around. Nothing special nor to write home about. Everything was simply fair. After roaming the streets for parking for over 20 min, my friends and I were surprised to find such a beautiful venue practically empty on a Friday night. We soon found out why. To get the night started, I ordered a delicious sounding whiskey cocktail. The waitress came back to inform me they were out of the Matcha cream that was integral to the drink. Fine, then I'll try the basil and gin cocktail. Nope, they're also out of basil... No cocktail it is, then. Also, lesson learned, photos can be deceiving. Most of the dishes LOOKED pretty good, but nothing was actually tasty. Their "crispy" onion topping tasted like it was fried two weeks ago and kept out in the open -- no aroma, no crunch. 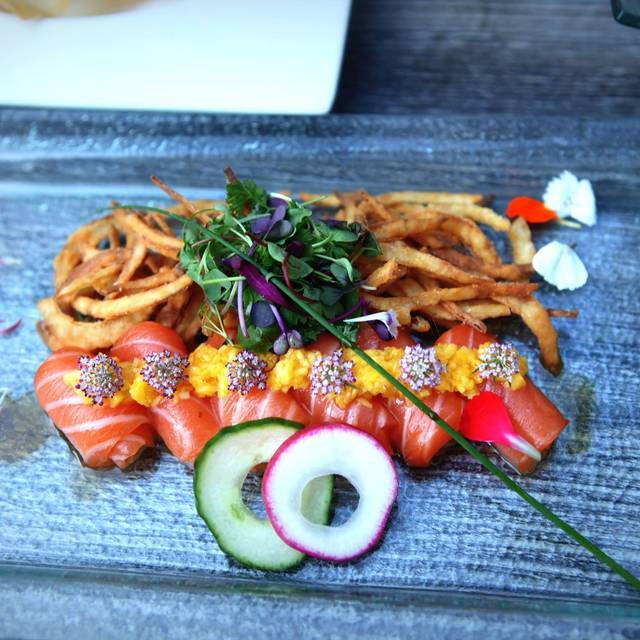 Their signature sashimi dishes were flat and not spectacularly fresh. Even the fried potatoes tasted like the middle of a frozen hash brown (the part that never really gets fully heated and is just gummy and flavorless. 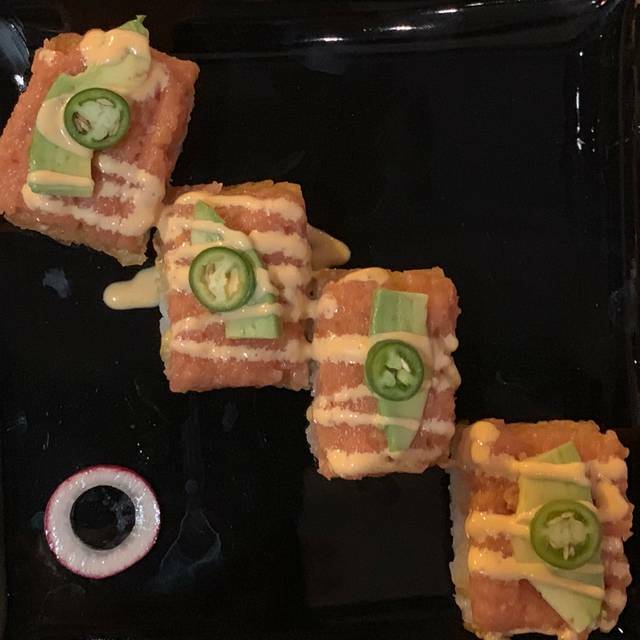 For fun, we also ordered a special roll that is served with a "side of flames," but before the dish even reached our table, the flame had gone out and the waiter made no attempt to relight it. All he said to us was "it's just salt and vodka, don't dip your sushi into it. Womp womp. After that, we just had to go. We actually left hungry to go to Guisados a few doors down. Best decision all night. TL;DR: Ambiance - quiet because there was literally no one else there. Food - subpar and definitely not worth the $-$$ price point. Service - fine, nothing to complain or rave about. Parking - horrible, but I guess that is to be expected in DTLA. Very upsetting. We traveled far to get to this restaurant. Our reservations were confirmed for 730pm. After driving an hour through traffic to get there, the restaurant had a sign that they were closing early at 7pm. Last minute, we had to scramble and try to find another restaurant to accommodate the group. 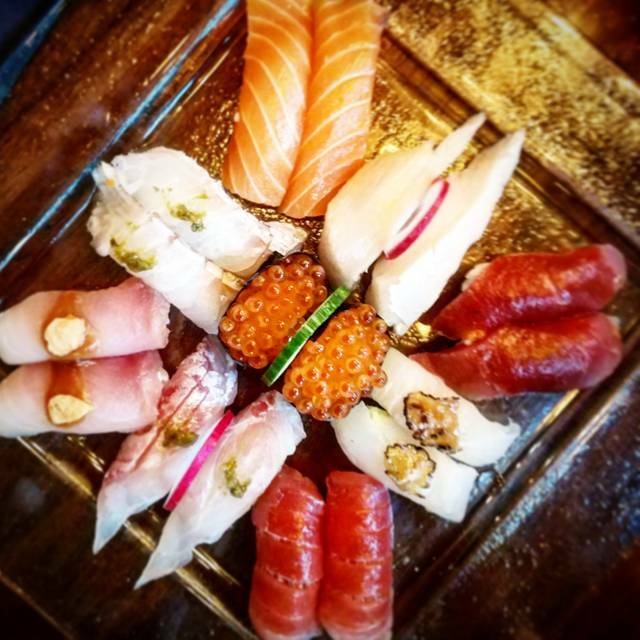 Never been here before and loved the freshness and flavor of our sushi rolls. Restaurant was very quiet as our visit coincided with World Series Game. Great draft beer selection. Had the Omakase Sushi selection which was very good. Server was attentive. It was one of the most important dates of this year! We were celebrating a 50th birthday. We went to SPIRE 73 for a drink before going here only to read a sign on the glass that said they were closed for a holiday! It was upsetting especially since your site didn't notify oft neither did the restaurant! Upsetting as hell. Our server was nice but was clearly overwhelmed for a quiet Monday afternoon. Decour is nice. Although there was nothing on the menu that was outstanding or memorable.